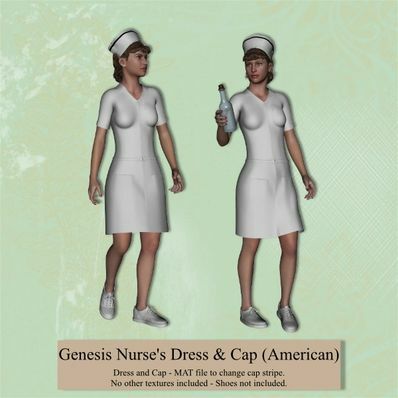 A Nurses Dress & Cap for Genesis for use in Daz Studio 4. Parent the Cap to Genesis Head - adjust hair to fit. Great Nurse dress! Thank you!